Among all of the Operating Systems, “Windows” is considerably the best Operating System to use. Its intuitive Graphical User Interface makes user friendly. 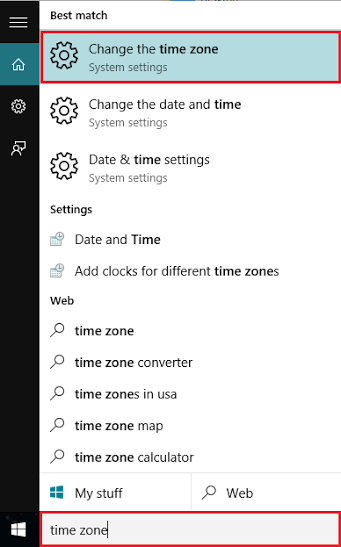 Being the most popular OS, it is used worldwide, in date and time settings, Windows 10 offers the option to change Time Zones based on the geographical boundaries of the countries. Many countries exhibit the feature of Daylight Saving Time (DST). 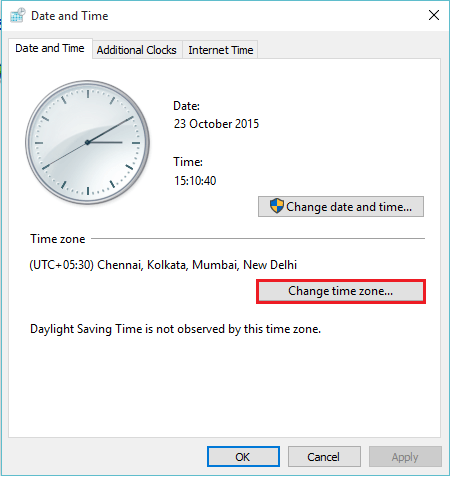 Windows 10 also includes the feature to adjust the daylight saving time automatically. The Coordinated Universal Time (i.e. Greenwich Meridian Time) is the time which is centred for calculations for any country based on its longitudinal and latitudinal conditions. For example, India is calculated 05:30 hrs ahead of the Greenwich Meridian Time or commonly known as GMT. 1 – Click on the Windows Search option positioned at the bottom left of your screen. Type “time zone”. 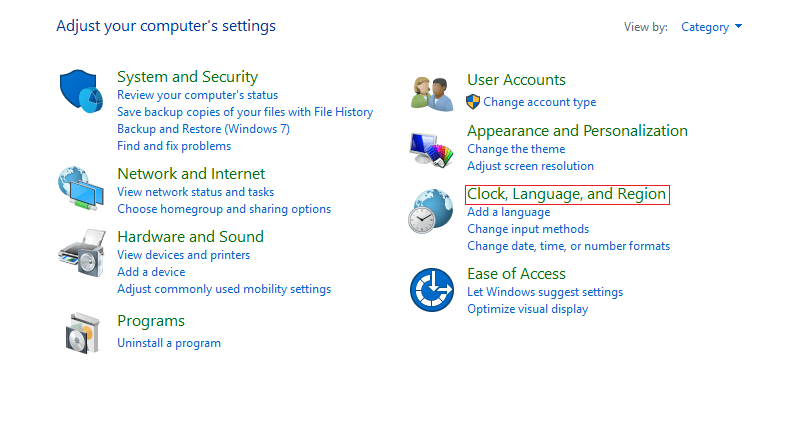 Now, Click on “Change the time zone” provided as the first option in the screenshot. 2 – Under the Date and Time section, First of all turn off Set Time zone automatically by toggling the radio button off. 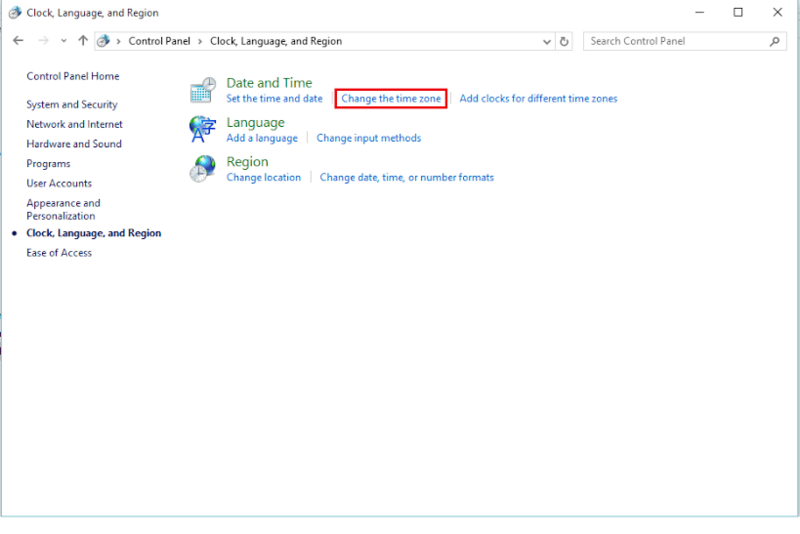 3 – Now, Choose a different Time zone from the drop-down to change the Time zone in your windows 10 PC. 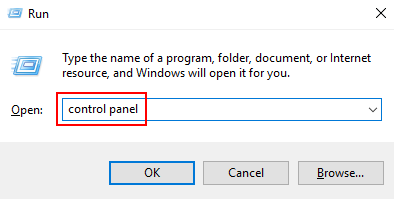 Press Windows key + R to Open RUN. Now, type Control panel in it and Press Enter key. Now, click on “Change the time zone”. It will open the “Date and Time” configuration window. 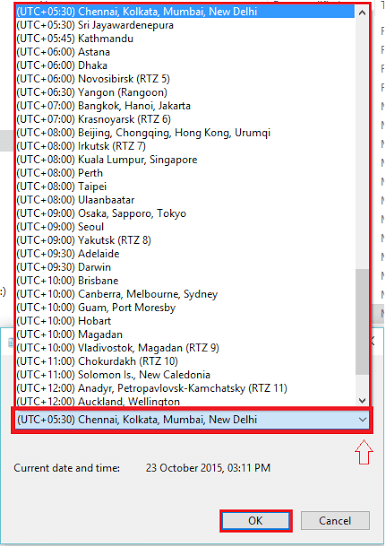 Select the drop down list to change your current time zone from the list of available time zones. After selecting your desired time zone, click on “OK”. 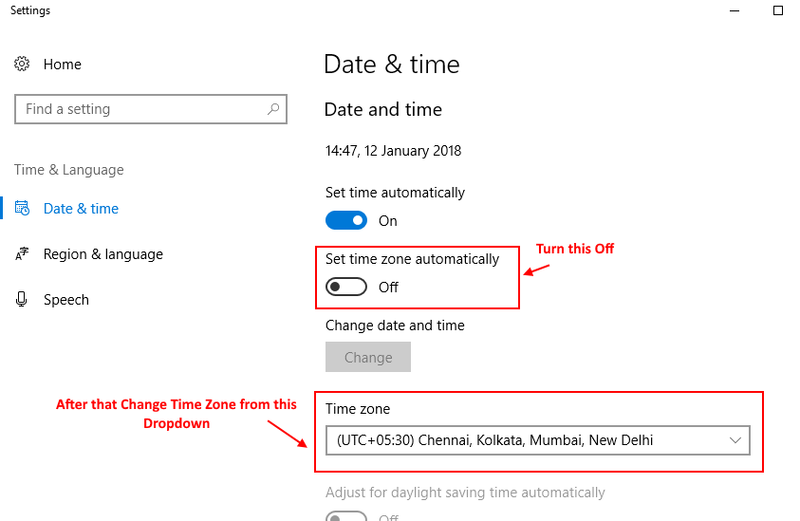 So, This is how you can easily change the Time zone in your Windows 10 Computer.